If you like playing games on your phone, there's a high chance that you've heard about The Banner Saga, an epic story driven RPG title developed by Stoic and published by Versus Evil. The first game in the saga was a smash hit on PC and made it to mobile as well. Today, Stoic announced that the sequel to its highly-acclaimed Banner Saga game is available on Android and iOS. Banner Saga 2 continues the story in the first installment, so you'll be leading your Viking clans across a hostile environment. Since you're the leader of the clan, you will be forced to take bold decisions, manage resources and choose when to strike at your enemies in order to survive another day in the wilderness. Keep in mind though that if you haven't played the first game, you will be able to jump into the adventure from scratch with pre-set character options. The only thing you'll probably miss is the background story, though you'll probably catch up later in the game. Gameplay-wise, Banner Saga 2 features improved turn-based battles that require strategic decisions, as well as precision. Your characters can be upgraded throughout the campaign, at least those that you will manage to recruit and keep alive. “We are incredibly proud to be able to bring mobile gamers this next installment of what is a planned three part saga. Since our earliest prototype, we designed The Banner Saga from the ground up with tablet and mobile devices in mind, so we were thrilled to get the recognition from the media and fans alike for the first game,” said John Watson, Technical Director at Stoic. 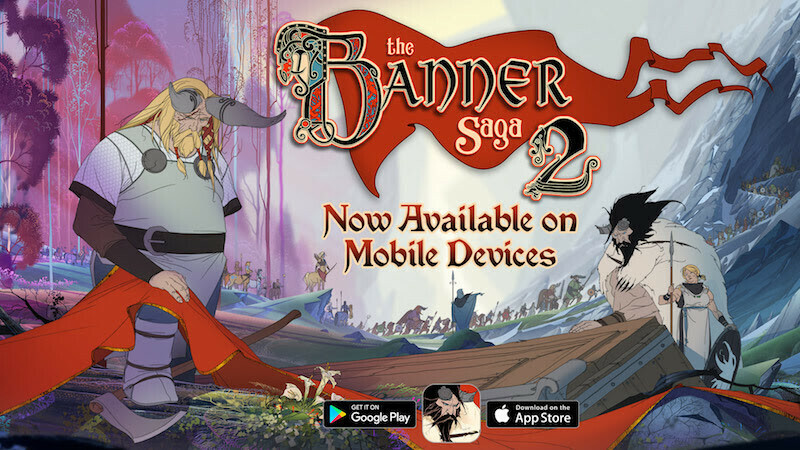 Banner Saga 2 doesn't come for free, so if you want to play you'll have to come up with $4.99 / £3.99 / €4.99 on either of the two platforms, Android or iOS.